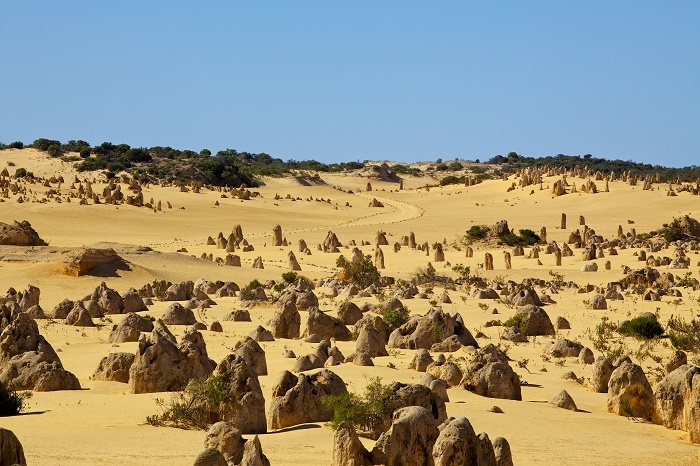 The Pinnacles are huge limestone formations that are located in the Nambung National Park, in the State of Western Australia, within the Commonwealth of Australia. 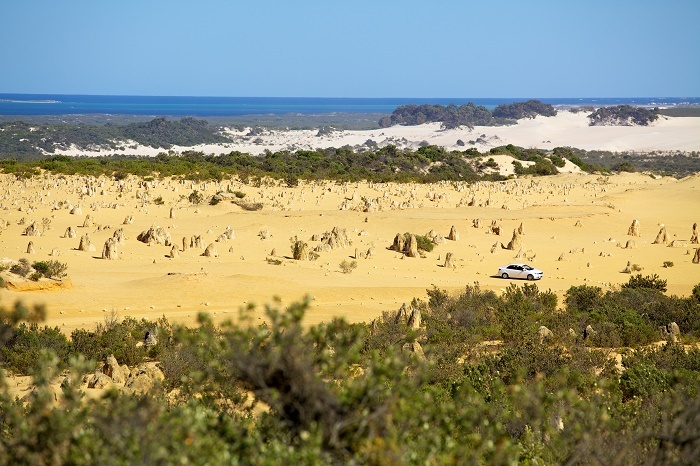 Located in the vicinity of the town of Cervantes, The Pinnacles were created by raw material that came from seashells in an earlier era that was rich in marine life, and they are rising out of yellow sand dunes along an idyllic stretch of coast in the state. 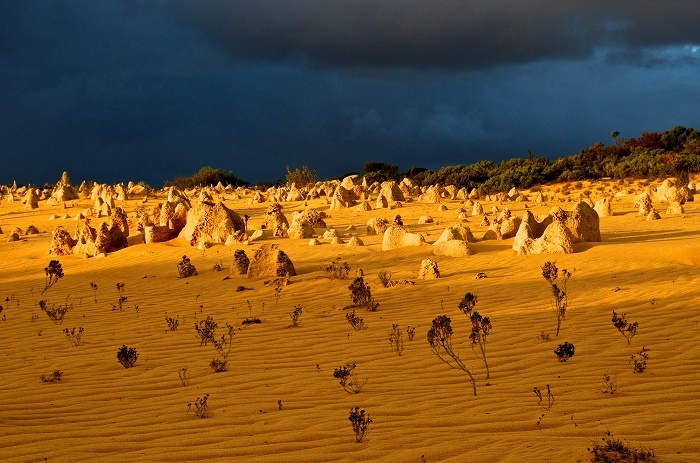 The seashells were actually broken down into sands which later were blown inland for form these high mobile dunes. 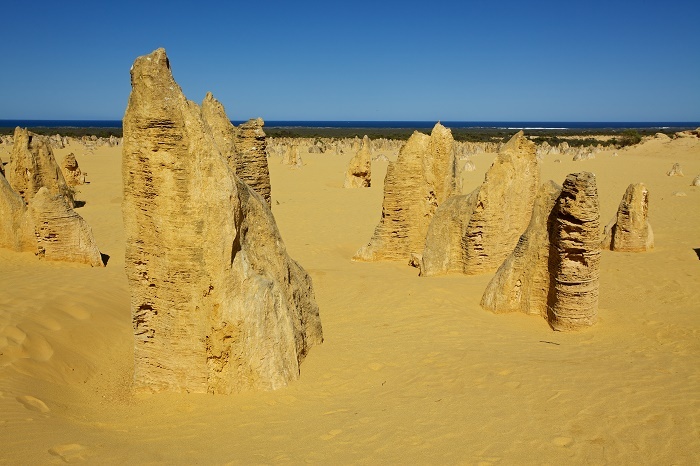 Nevertheless, it is uncertain how exactly The Pinnacles were formed from these raw materials, where one source states that they were formed as dissolution remnants of the Tamala Limestone, while the other states that they were formed through the preservation of tree casts buried in coastal aeolianites. 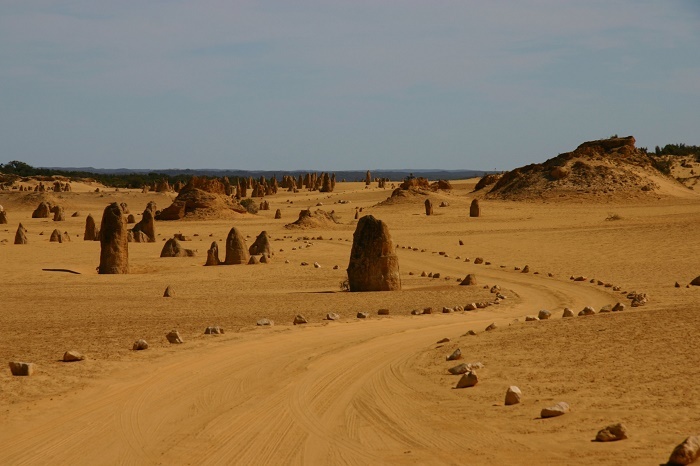 Scattered across the desert, numbering in high thousands, these impressive Pinnacles create an eerie, alien-like landscape, which is quite memorable for a scenic walk and even drive trail that goes in between the limestone pillars. 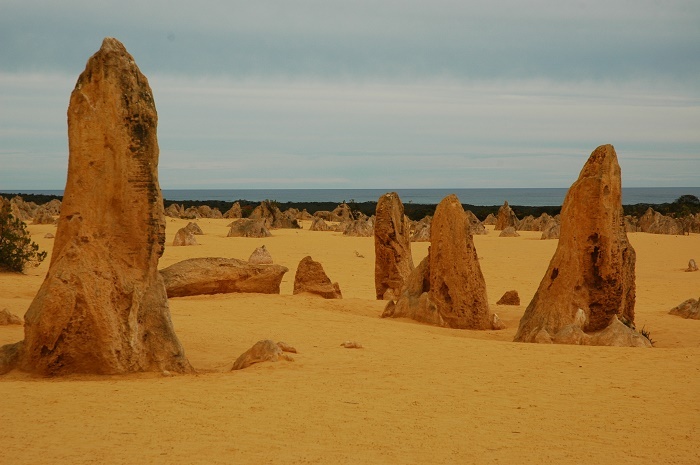 As some are high up to several meters, some have jagged point at their top, while others have mushroom-like shape and even rounded domes, resembling tombstones. 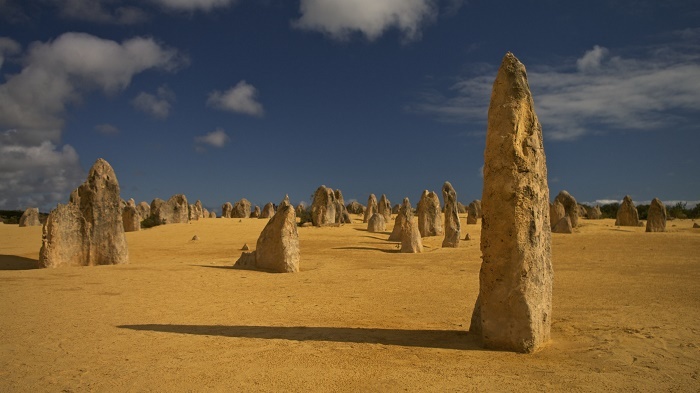 The structure is very fragile so climbing on them is certainly not advisable, nonetheless, the enriching flora and fauna enrich the entire area. 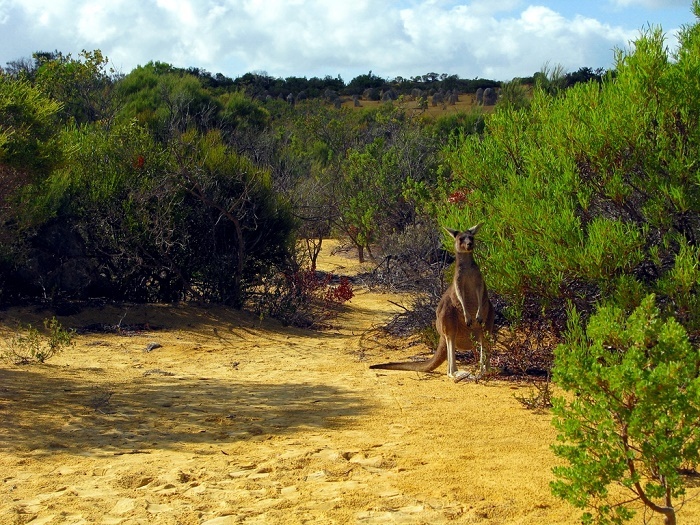 The western grey kangaroo, Baudin’s black cockatoos and emus can be seen all around the area, in addition to the reptiles, such as bobtails, sand goannas and carpet pythons among the few. 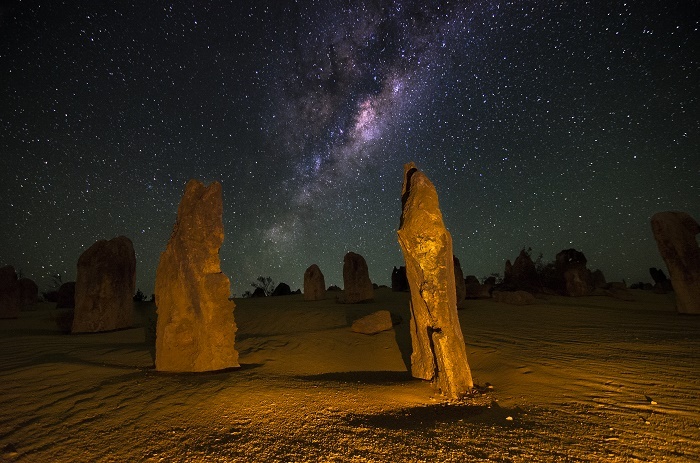 The Pinnacles were unknown to the Australian public until 1967 when the area was gazetted as a reserve, which was later combined with two adjacent reserves to form Nambung National Park in 1994, where nowadays the national park receives more than 150,000 visitors per year. 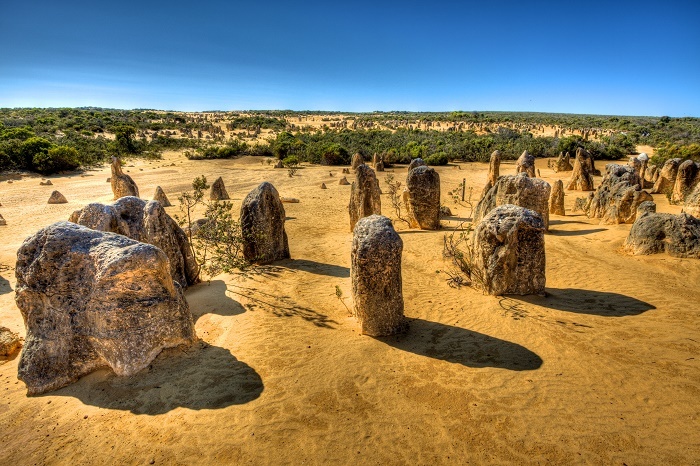 The Pinnacles Desert Discovery Centre offers interpretive displays of the park, both the natural processes that formed the Pinnacles and the biodiversity of the area. 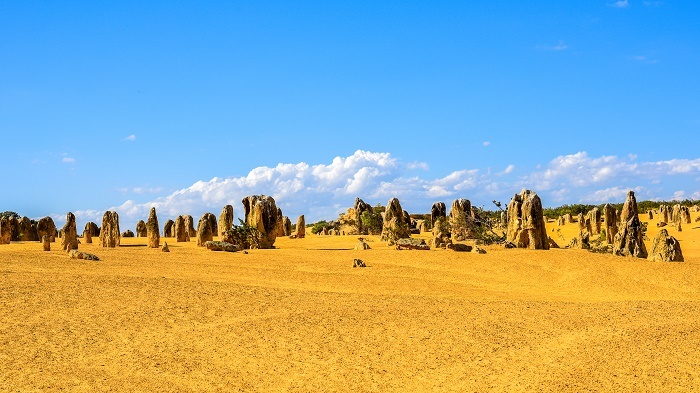 Having a secluded, white beaches that are great for swimming, snorkeling and surfing, the Pinnacles are definitely worth the visit as one can have plenty of artistic opportunities for an amazing dusk and dawn photographs, while learning a lot about the natural history of the great nation of Australia, and even learn something extra about the local wildlife and flora.